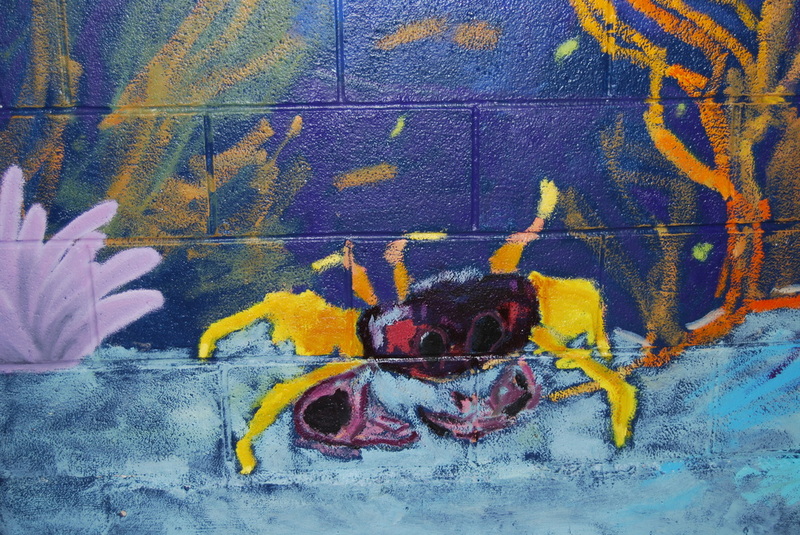 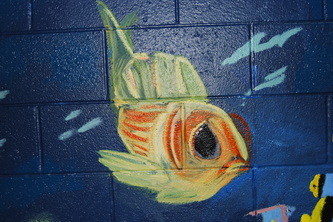 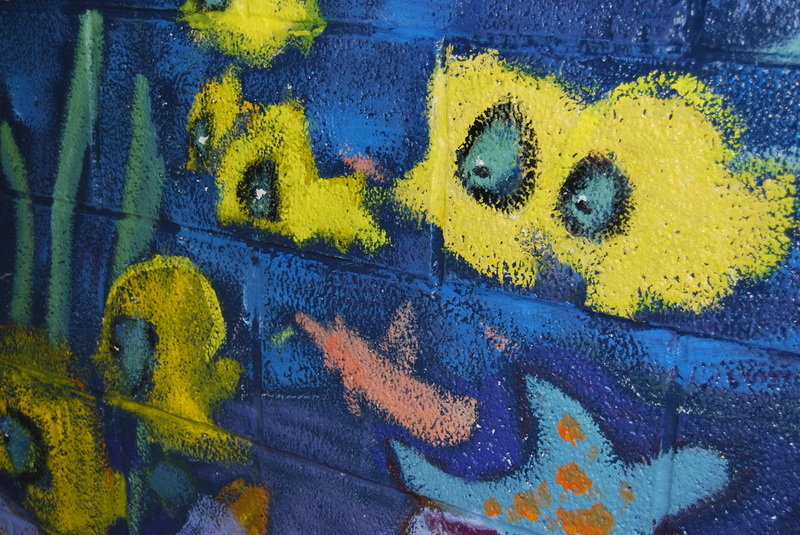 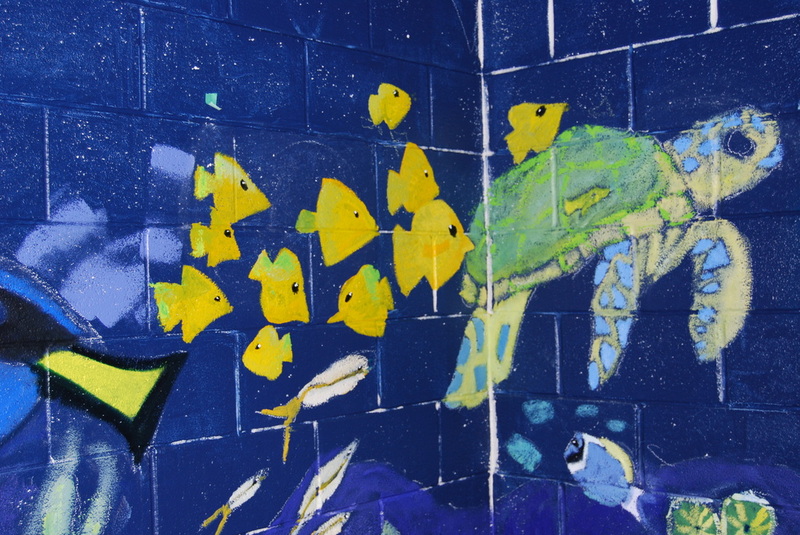 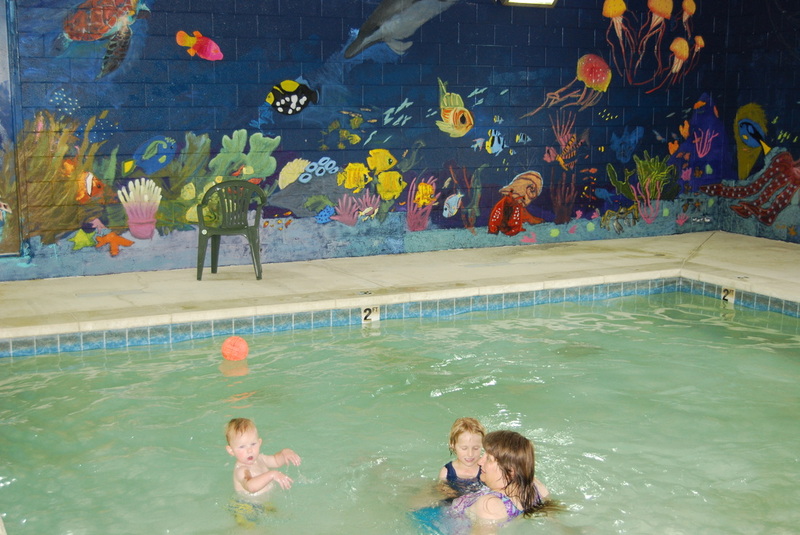 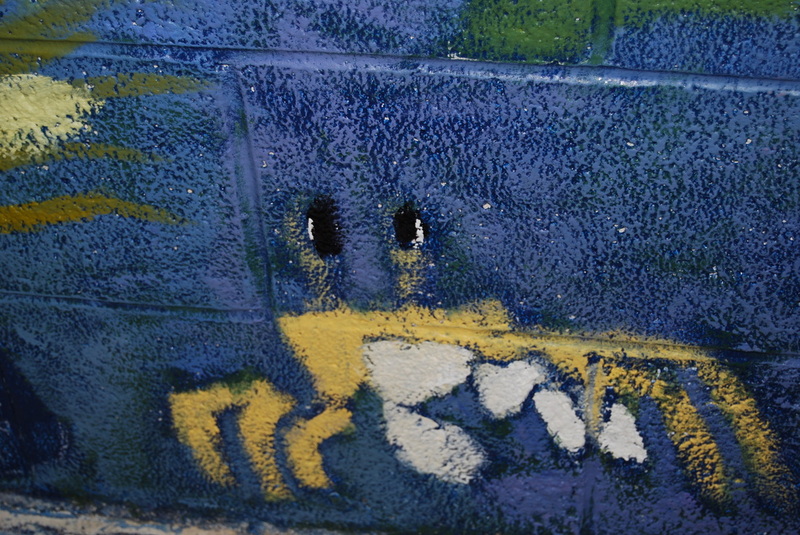 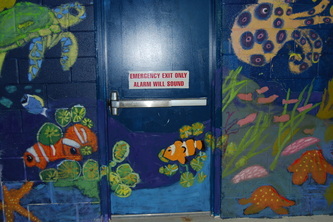 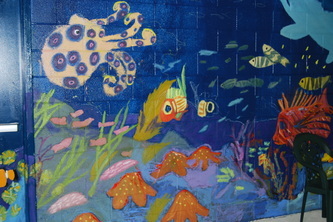 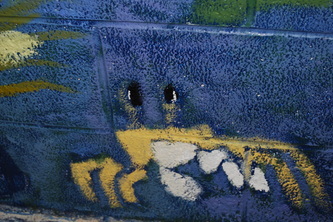 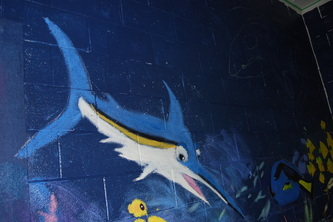 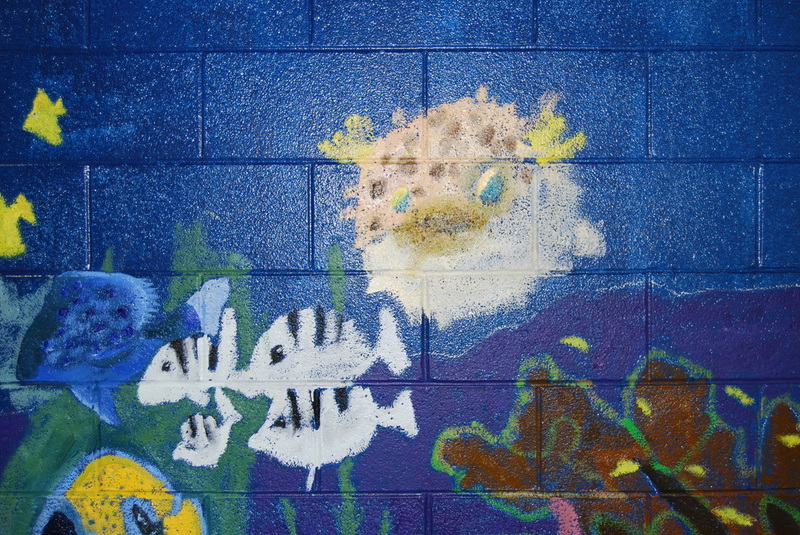 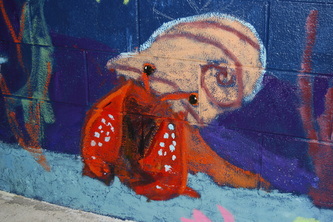 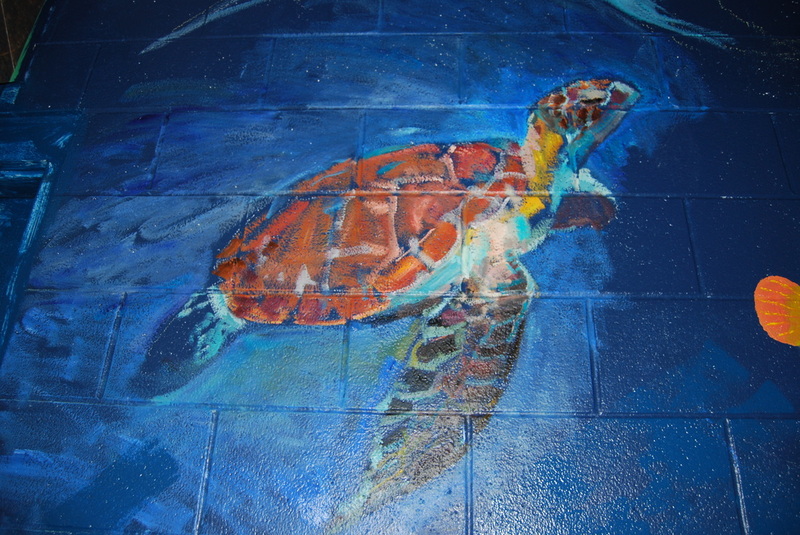 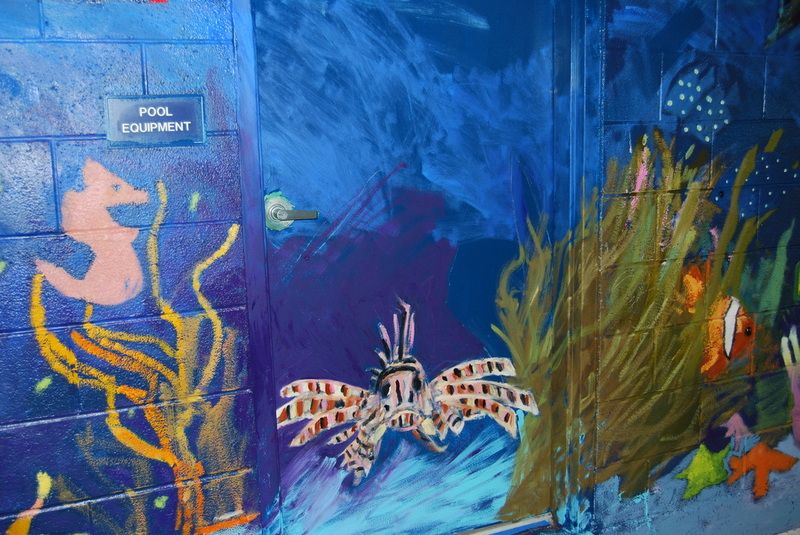 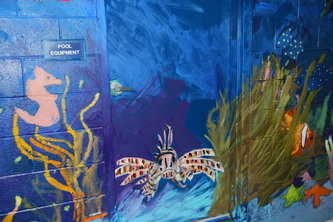 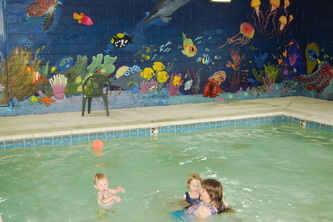 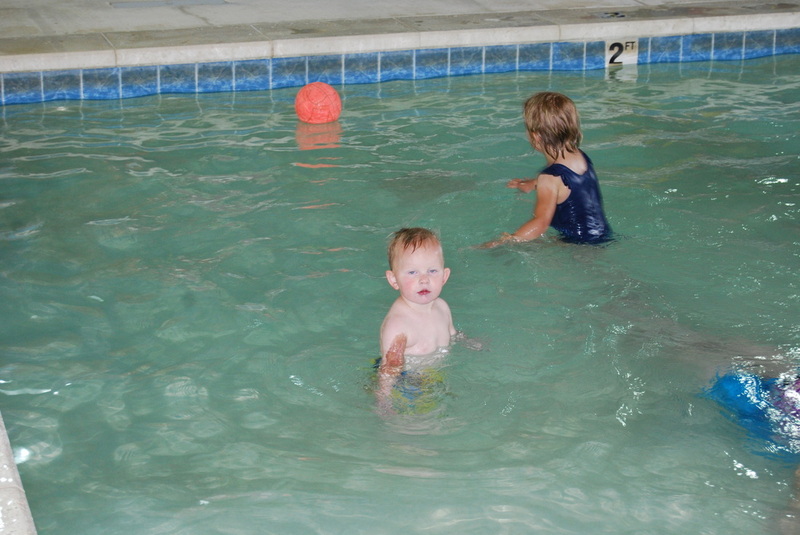 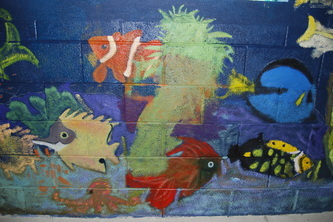 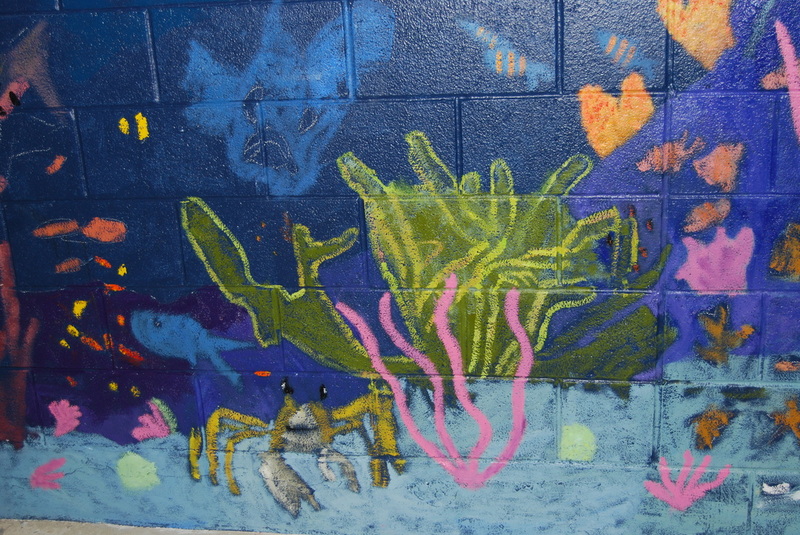 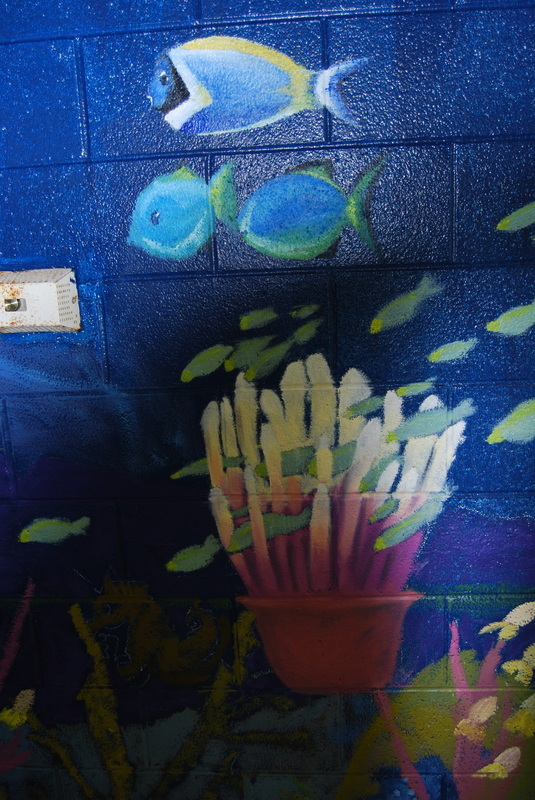 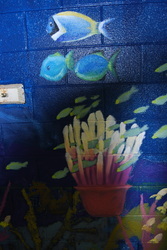 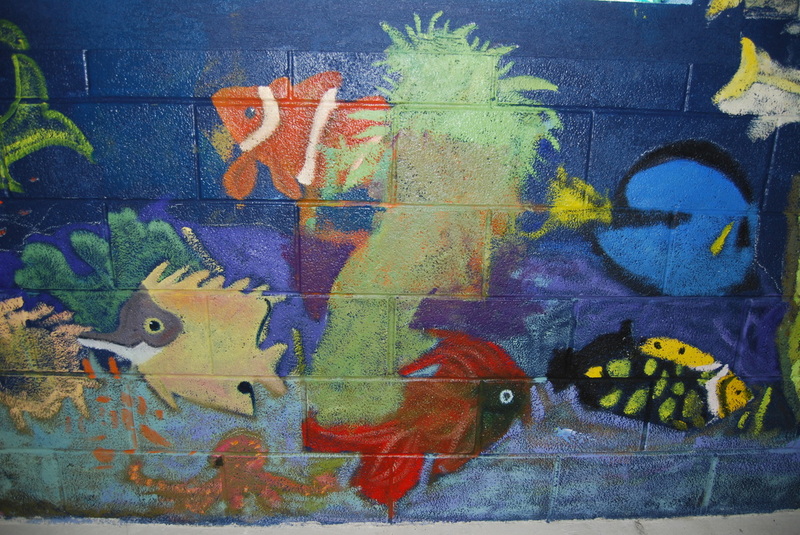 Wonderful aquatic flora and fauna swim the walls at the children's pool in the Gunnison Swimming Pool complex. Artist Julie Rogers guided volunteers of all ages in creating this magical surround. Funding came from the Utah Department of Arts and Museums, Arts Education program, Gunnison City, and local donors.